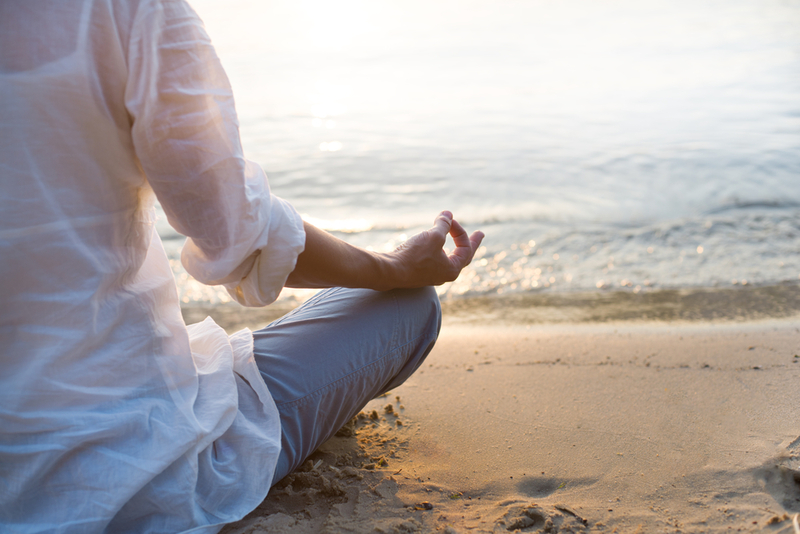 No doubt you’ve heard about the many benefits of meditation. 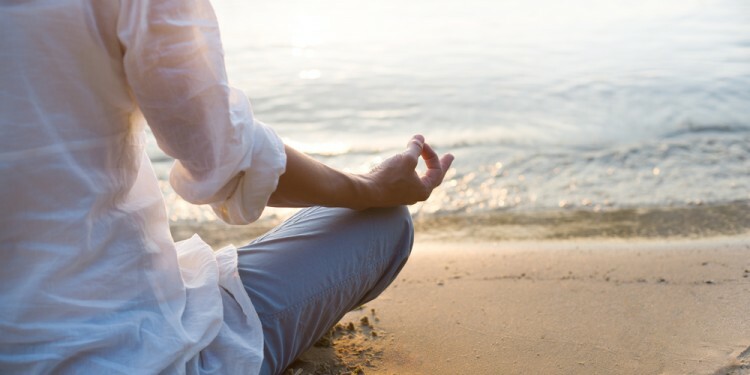 So far, we’ve discovered that a regular meditation practice can reduce stress, increase focus, improve productivity and creativity, cut your risk for heart attack and stroke, ease chronic pain, improve mood, boost the immune system, and more. You may have even tried to start your own meditation practice, but then found your life interfering. After all, it’s one thing for a monk or spiritual leader to devote hours to the discipline, but a woman with a job and a family and a home to take care of has a hard enough time finding a moment to eat a healthy meal or enjoy a hot bath, much less twenty minutes or more to sit in complete silence and empty her brain. Fortunately, meditation is very flexible. You can make it work for you and your lifestyle. It just takes a little trial and error. Below, we outline seven steps you can take to incorporate this beneficial practice into your busy day. 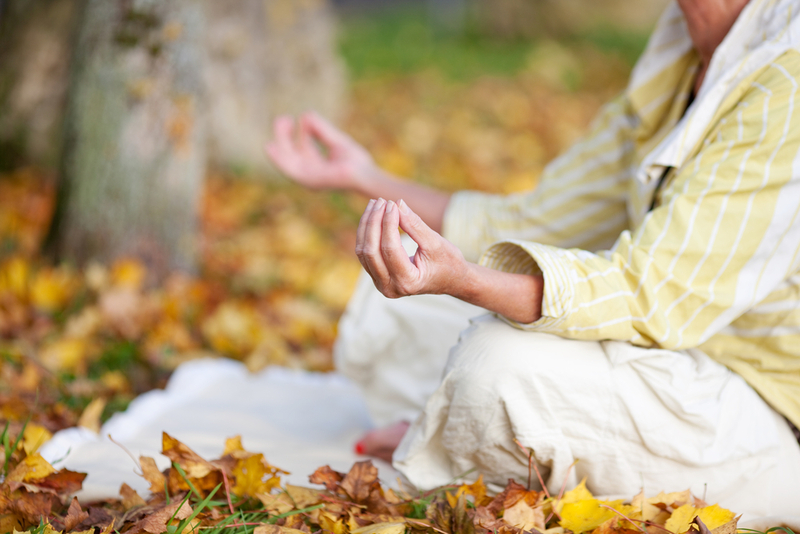 We hope you’ll give it a try—you deserve to experience what meditation can do for you! Often we feel like we have to do everything “just right” for meditation to work in our lives, but it’s simply not true. In other words, don’t be turned off by experts that say you must do it for 20 minutes a day, or you must sit a certain way, or you must burn a candle while doing it. The key is to zero in on what’s important for your practice, and forget about the rest. It’s not necessary to have just the right type of chair or cushion, or just the right incense burning, or just the right music playing, etc. If you get too caught up in these details, you’re likely to give up too soon. Don’t sweat it. You don’t need anything special. All you need is a time, a place, and something on which to focus your thoughts. When will you meditate? It doesn’t have to be the same time every day, but if you do set a time you may find it easier to stick with it. When you can focus, even if it’s only for five minutes? The options are endless, really. Can you steal time in the morning before everyone else gets up? How about right before bed? Or on your lunch hour? While you’re in the tub, even? Start with just five minutes. You can always try another time if what you planned doesn’t work. Again, you can be flexible, but do try to find somewhere you can have a moment’s peace, away from distractions. That may be your bedroom, your porch, a park on the way home, on a walk, or even inside your car (just pull over first!). 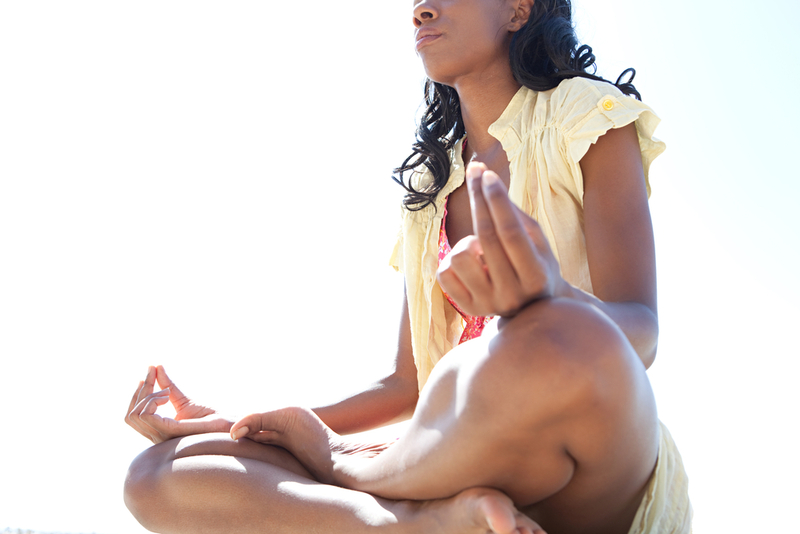 You can meditate anywhere, especially as you become more skilled. But when you’re getting started, try to find any corner of your world where you won’t be bothered for a few minutes. So what is the most important thing here? Easy. Let your thoughts go. The main thing you want to accomplish during your meditation time is to break your attachment to your thoughts. We all have a zillion thoughts going through our minds all the time. They race by, firing one right after the other, and we react. Don’t forget to pick up Johnny at school. Your hair is getting too long—you need to make an appointment for a hair cut. Betty’s birthday is on Friday and you haven’t gotten a card yet. The car needs an oil change. On and on it goes. When you meditate, you take a step back. You let all these thoughts go by without reacting. Instead, you focus on one thing. You get to choose! Again, the experts will give you recommendations. You can try them all and decide which works best for you. The important thing is to find one thing you can tell your brain to pay attention to, while letting all your other thoughts fall away. Your breath: This one works really well. Just focus on your own inhale and exhale. You may want to count each one. Inhale-2-3-4, exhale-2-3-4. See your breath going in and out of your lungs. Whenever a thought interferes (I need to get something out for dinner) just let that thought mosey on by and bring your attention back to your breath. A candle: This is another really good option. Light a candle, place it in front of you, and focus on it. Let it burn an image behind your eyes. You can then close your eyes and find the light behind them, too, if you like. Whenever those intruding thoughts come along, let them go and focus on the light. A favorite picture: Put a peaceful picture in front of you. Maybe it’s a scene of a lake, the ocean, the mountains, a flower—whatever appeals to you and helps you relax. Then just focus on that picture. Notice the various colors, where the shadows are, etc. When your brain fires other thoughts, ignore them and keep your focus on the picture. A meditation CD: There are a lot of meditation CDs and videos out there that can help you through your practice. Most have soothing music and visuals to keep your brain focused and free of attachments. If you find your thoughts wandering to what you’re going to do after meditation, just bring them gently back to the music or the visuals. The sun: Many people like to meditate outside when possible, facing the sun. This works really well at sunrise or sunset, when you can let your eyes focus on the light. (It’s best to gaze at the light around the sun rather than the sun itself to avoid harming your eyes.) The addition of being outside may be just what you need to relax and let your thoughts go. A vision: Picture a place that you love in your mind. Somewhere you go for vacation, or an image of a place you’d like to go. Hold that picture in your mind and imagine you’re actually there while you’re meditating. Anything nearby: Sometimes you may find yourself meditating “on-the-fly,” so to speak, when you catch a moment inside your car or while standing in line or while sitting at a café. Find something nearby you can focus on. The logo on the steering wheel. The mark in the center of the table. The design on the tile floor. Focus on it and let your other thoughts go. You may be able to do so for only a couple minutes, but it’s good practice! Whenever you start to meditate, it’s easy to get frustrated when you realize just how wild your thoughts can be. In fact, being stressed about “not doing it right” is one of the main reasons women quit. There you are, focusing on the candle or your breath or whatever you chose, and all of a sudden you realize you’ve been thinking about your work project for the last several minutes. Ack! I’m just not good at this, you may think. Wrong! This is what meditation is all about. Everyone experiences this. That’s what meditation is for—to teach you how to manage your thoughts. So when you find them wandering, congratulate yourself! You just noticed that your brain was off on autopilot, and now you can bring it back. Think of your thoughts as boomerangs. They’ll start out in your hands as you choose to focus on your one thing. But sooner or later, they will fly off into the distance and you’ll be thinking about something else. This is the point of your practice—simply call your thoughts back. Bring your focus back to that one thing you chose—your breath, the candle, the music, whatever—and start again. Realize that you will do this umpteen times while meditating. You may be surprised at how often you have to do it even when you practice for only five minutes! That’s okay. You’ll get better with time. Whereas when you start you may find yourself bringing your thoughts back 50 times in five minutes, soon that number will decrease. That means you’re getting better. The longer you can focus on your one thing without being distracted, the more skilled you’ve become. The key to a successful meditation practice is to keep doing it. A healthy life is one that is healthy on a daily basis, right? Eating a healthy meal just once isn’t going to do much for your long-term well being. Nor will exercising only once a week. You may have already found a way to work healthy foods and regular activity into your daily lifestyle. To really experience the many benefits meditation has to offer, you’ll want to do the same with it. As you try all these steps, make a note of what’s working and what’s not. If you find you start to neglect your early morning practice, for instance, then pencil in another time for the next few days to see if that works better. If it’s not working to focus on your breath, try a candle instead. If you can’t seem to get to a place where you’re not disturbed, think up some other options that may work. If you’re too uncomfortable sitting on the floor or cushion, try a chair or couch, or even lying out flat. Realize that somewhere along the way, you will feel like meditation just isn’t working for you. This is a common hump that all beginners must get over, and the time when it’s most important to keep going. When you go on a diet, you can tell by stepping on the scale whether it’s working for you or not. Meditation isn’t quite so clear-cut. Just keep showing up. That’s all you have to do. On the way, it’s totally normal to feel negative emotions, like boredom, sleepiness, or nothing at all. You may find your meditation helps you feel more peaceful or relaxed, but it may also bring up waves of sadness or anxiety. Some days you may notice your thoughts quieting down, but other days they may ramp up busier than ever. Just keep showing up. That’s all you have to do. Show up for your 5 or 10 or 20 minutes and focus on your one thing. If you get over that hump, you’ll find yourself improving, and that’s when you’re most likely to notice the benefits bleeding into the rest of your life—more energy, clearer thoughts, fewer mood swings, less anxiety, and an overall sense of improved well being. There are other things you can do to improve your practice. Stretching your muscles (with a yoga practice or other method) before you meditate can help you sit (or lie down) more comfortably. Meditating with a stomach that’s not too full also helps (so you’re not inclined to fall asleep!). You may be more motivated if you read a book or watch a video on meditation, so you can learn more about it. In some areas, you may be able to find meditation classes that will connect you with others who are learning. You can get as involved as you like, or keep it simple. Remember the most important thing is to let your thoughts go and to reconnect to the spirit inside, the “I” that is not your brain or your thoughts, but the being that witnesses the thoughts. Meditation helps you recognize that inner self again, to send her love, and to let her take a larger role in your life. The brain is simply a tool that you both can learn to use to your benefit. Nice piece, Colleen. Thanks for reminding me that it doesn’t have to be perfect.